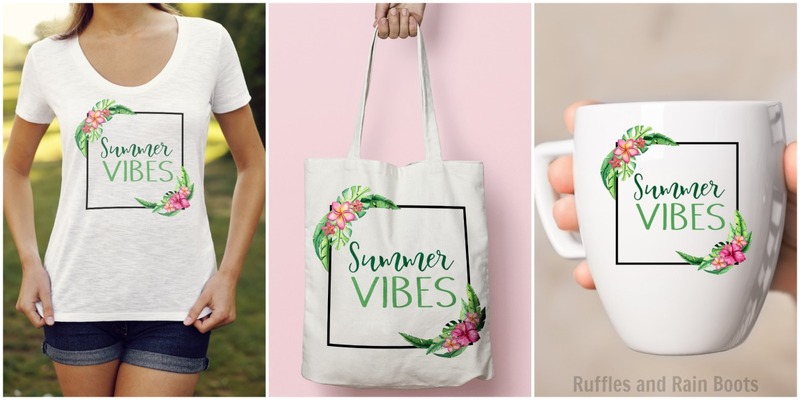 This free summer calligraphy practice and printable set are just the quick craft to fit in between swims and ice cream. Included is a fully colored and lettered summer printable and a calligraphy practice sheet. Get yours now! Update: this design is now available for use in graphics design, cutting machines, and any other way you can think of! 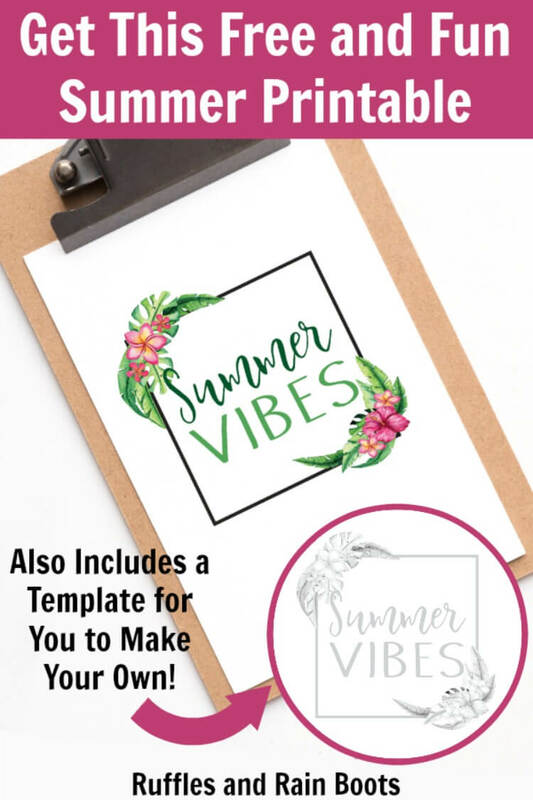 I’ve just added this Summer Vibes PNG to my shop (along with a few extras) and it’s at it’s lowest price right now. We’re no stranger to hand lettering practice sheets here on Ruffles and Rain Boots. 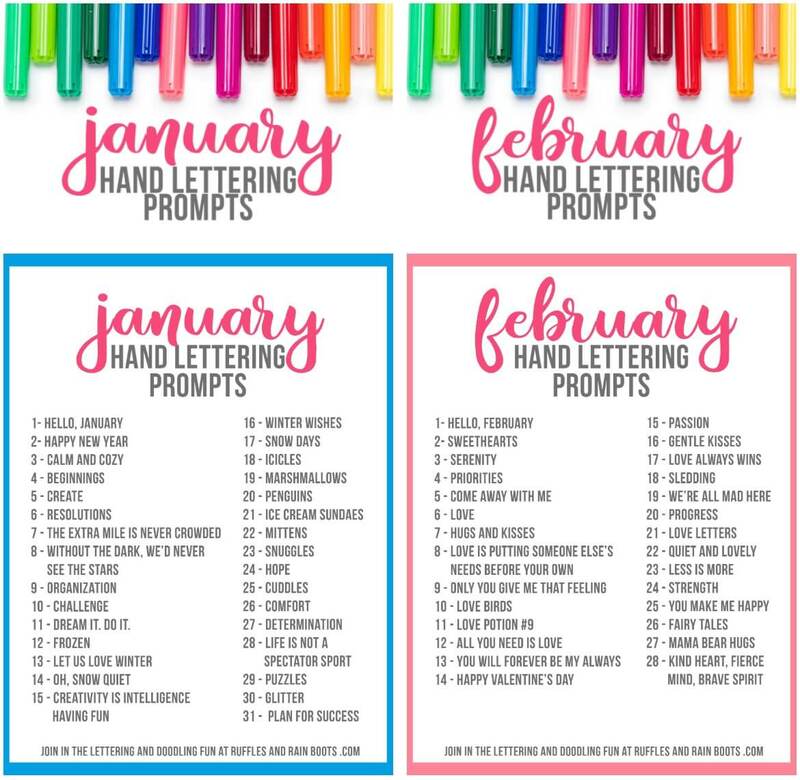 Each month, we share a full 11-page lettering workbook absolutely free to all of our subscribers. If you’d like to get all of the free workbooks, sign up here and you’ll get a weekly email and the password to access all the workbooks! a list of daily prompts for you to practice the styles. So if you haven’t already, sign up for the newsletter and get access to all of 2018’s workbooks! 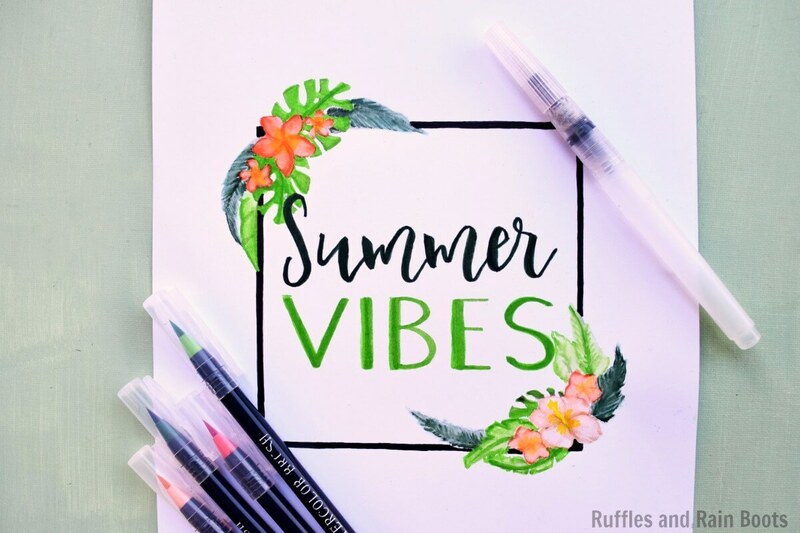 You can print a fully colored and lettered tropical summer printable as a way to bring a little of the bright season into your home. 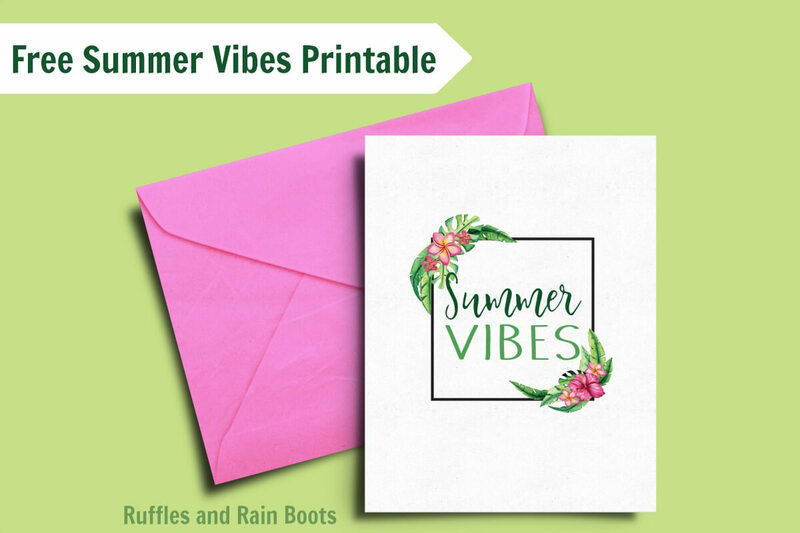 This fun summer printable would also look great as a card (shown above). Watercolor Brush Pens – These Are A STEAL! Now, for those of you who want to letter and color your own summer printable, I recommend using watercolor brush pens on this. You can really blend, feather, and detail with them. Here’s my orange and peach set I’ve just started working on using the watercolor pens I bought for my daughter. To access our lettering files, you’ll need to be part of the in-crowd who has access to the full Ruffles and Rain Boots free library. Get access now by signing up to our once-weekly email list. What is your favorite lettering style? If I’m honest, I love bounce lettering the most with a modern calligraphy as a close second. My favorite pens make both of these a breeze. How will you display or create this fun free summer calligraphy practice prompt?